Manufacturing, Trading, Importer and Exporter of Automotive Components. 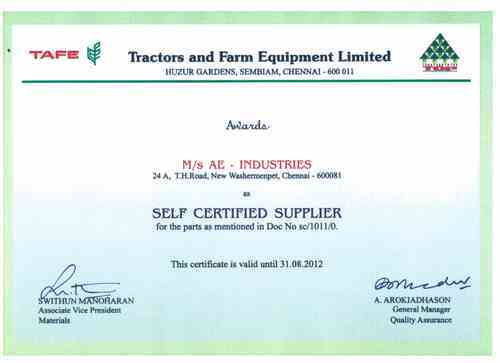 AE - Industries [Chennai] is originated in the year 1994. We are Manufacturing a wide array of Automotive Components. Our product range also includes Automobile Rubber Parts, Automotive Spares, Automotive Plastic Products, Automotive Hood Locks, Automotive Connectors, etc. We are also supported by technical experts who check the product quality on various parameters to ensure their utility. Our product range is available in various specifications and can be customized according to the requirements of the clients. Our product range is manufactured using premium quality materials and according to the international quality standards. 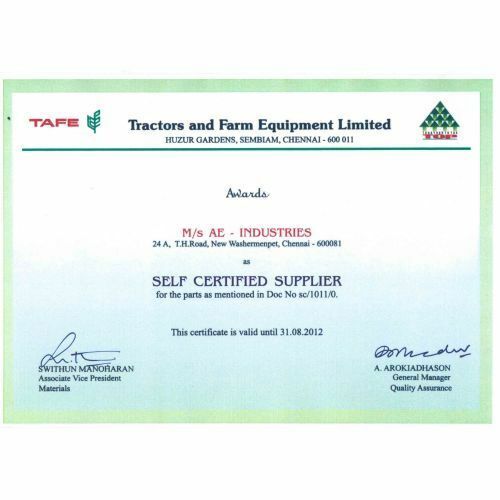 We are supported with a team of quality analysts who check the quality on the products on various parameters. Our team is equipped with latest and advanced machinery to conduct various tests on these components. We also check the quality of the packaging material we are using to pack these products and to offer flawless range to our clients. Our team works with quest and dedication to offer high quality products to our clients. Being a client based company we offer unmatched range of these products to our clients. By providing superior quality products and as per the requirements of the clients, we achieved 100% satisfaction of our clients. We offer customization of these components which best suits the requirements of the clients. With our wide distribution network we are able to offer the products within stipulated time frame. We accept feedback from our clients to increase our productivity. Our resourceful personnel keep themselves abreast themselves with technological advancements and thus they are capable of dealing with specific requirements of our clients. Every team executes its responsibilities and work in close coordination with each other so as to offer complete satisfaction to the end user. To meet the specific requirements of our clients, we offer them customized range of Aesthetic Parts, Automotive Components and Steel Inserts. Our range is designed and manufactured as per the exact specifications and requirements laid down by our clients. 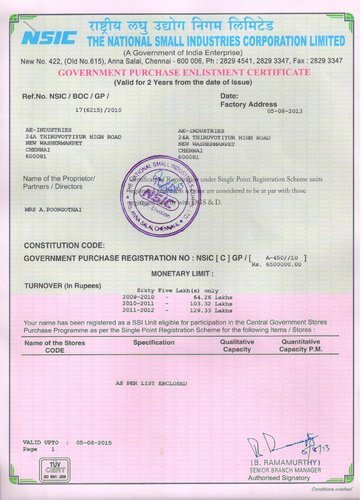 We have attained a broad client base in the market due to our efforts in offering customized range to our clients. Customization capability has enabled us in achieving our ultimate goal of client satisfaction and the complete trust of our valued clients. Leveraging on our vast industrial experience, we have been offering a wide range of Automotive Components, Steel Inserts and Aesthetic Parts. 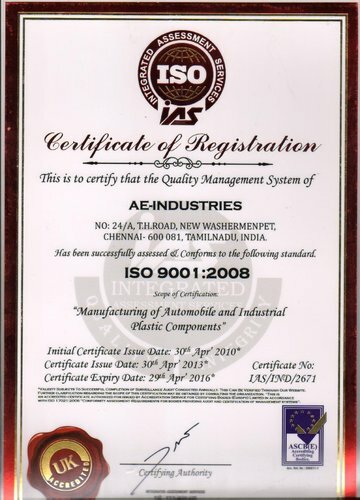 Our quality range has enabled us to gain a high reputation in the market and huge clientele in India and Denmark.